Our elders have been known to say that: “The beast that is likely to unleash the deadliest bite often lurks in the frills of one’s own cloth.” This was the maxim that flashed through my mind, when I came across a news article captioned: “Akoto Osei Laments Slow Pace of Project Implementation”. According to the Minister of Monitoring and Evaluation of Government Programs and Projects – this ought to be the full nominal designation of Dr. Anthony Akoto Osei’s cabinet portfolio, the greatest bottleneck to the Akufo-Addo Administration, presently, may be the employment of cabinet appointees who may not be qualified for their jobs. Plain and simple. The upshot of this sobering reality of the state of affairs of the execution of projects and programs by the key operatives of this Akufo-Addo-led New Patriotic Party (NPP) government is that these projects and programs, by and large, are moving at an extremely slow pace, not because of any dearth or lack of funding or budgetary resources, as any keen observer may be hastily tempted to surmise or conclude, but primarily because those in charge of the funding of these keystone government projects and programs are simply not releasing the requisite funding resources timeously enough. If the preceding observation made by Dr. Akoto Osei is really the situation or has incontrovertible validity, then it well appears to me that Nana Addo Dankwa Akufo-Addo and Vice-President Mahamudu Bawumia need to promptly sit up, reduce the high rate of their foreign travels in order to ensure that those to whom they have entrusted the sacred business of the people are working around the clock and partying and “funeraling” less on weekends and even on some weekdays. It would also mean the critical and short order or at least bimonthly or quarterly evaluation of the performance of these cabinet and executive appointees and promptly chucking out those who are found to clearly not belong or be deserving of their portfolios. I bet there may be quite a few appointees who may be very talented but find themselves to have been appointed to the wrong portfolios. 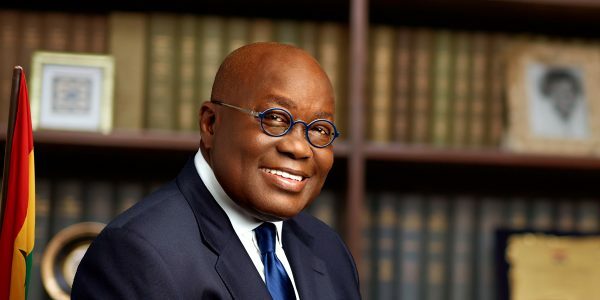 There may also very well be a remarkable percentage of internal saboteurs – and on the latter count, Messrs. Akufo-Addo and Bawumia may need to bear down hard in order to effectively troubleshoot and weed out the metaphorical “tares” among the “productive plants” and fruits and promptly do some trimming and pollarding in order to ensure that they are handily able to retain their electoral mandate come December 2020. And I bet these two gentlemen may not like to hear this, but they may very well need to promptly get over and around what I have labeled as “The Oprah Winfrey Effect” by cracking the whip mercilessly and fully appreciating the incontrovertible fact that “Tough Love” is the veritable name of the game, as it were. This would, of course, mean the imperative need for a constitution-review process by which absolutely no cabinet appointees ought to be serving in Parliament. What works perfectly in British political culture may not necessarily work in Ghana, where our democratic culture is rather much too young, and our double-salary dipping cabinet and parliamentary operatives are far more often than not pathologically and obsessively fixated on packing up their purses and wallets with humongous wads of the public dole than altruistically and/or sacrificially serving the needs, aspirations and interests of their constituents and the nation at large. Better believe it, and this observation or assertion is not being made as an ungodly means of either inspiring or nihilistically sparking up an unsavory process of internal witch-hunting, but there may actually exist some suavely camouflaged key party players who would rather have the unconscionably kleptocratic likes of former President John Dramani Mahama back at the helm of affairs at the Jubilee-Flagstaff House, so that a timeously resurrected morbid culture of rank corruption could better serve their individual and crony-capitalist interests. We must also not forget that heading into all three consecutive presidential runs, the third of which auspiciously brought both Messrs. Akufo-Addo and Bawumia to Jubilee House, the most vicious detractors and political scumbags had not emanated from the irreparably benighted and immitigably brutal camp of the Rawlings-minted National Democratic Congress. Rather, they had come from the other diehard anti-Akufo-Addo Faction of the New Patriotic Party. And they are still strenuously hard at work like hell and brimstone. And Messrs. Akufo-Addo and Bawumia, especially the much younger and economically savvy Dr. Bawumia could easily become toast in a jiffy, as it were, if the Vice-President loses his guard and smugly and foolishly decides to take a nap midway through this most critical and seminal journey of our total national reconstruction project and agenda. Indeed, he may very well wisely decide to take a mind-refreshing nap – for after all, aren’t we all too human and physically frail and exhausted from time to time? Except that, in this particular instance, the Vice-President ought to take his well-needed nap only a quarter of the race to the finishing line and for the renewal of the mandate of the people with three-quarters of his two eyes wide open. It could also, by the way, be that these evidently sluggish ministerial and executive appointees seem jittery and timid primarily because they are also morbidly and deathly afraid of being brought up on highly likely charges of administrative profligacy by a government epically determined not to be caught by an unprecedentedly vigilant electorate with its pants down at the most critical moment. Either way, some experts need to be called in to organize some best- practice clinics and workshops to better prep these reportedly groggy cabinet and executive appointees on how to scale the steep edges of Mount Afadjato without fatally raising their blood-pressure levels.